On the show today, we are setting the table with Country Ham, and how through the dry aged process, and sliced paper thin, is then called “Prosciutto. Our guests on the show today is Allan Benton, of Madisonville, TN - he shares his story on how he learned what the word Prosciutto meant, and how he positioned his product to the world of fine dining - and now, his prosciutto goes to to tow with some of the most expensive, and well known high dollar prosciuttos from all over the world. And Allan Benton’s dry aged, country hams are produced right down the road, in East, Tennessee. I’ll share with you a delicious recipe for a easy to make appetizer that I have named “Smoky Mountain Sushi” - It is not made with seafood, but rather country, ham, collard greens and black eyed peas. It would be a mighty easy crowd pleaser for those super bowl parties. We also get to hear from Fred Sauceman with Fred’s “Pot Luck Radio Segment”. This one features sisters “Joyce and Nancy McCarrell” who until the end of 2018 ran the restaurant at Traveler’s Restaurant in Traveler’s Rest, South Carolina. Allan Benton feeding the fire. 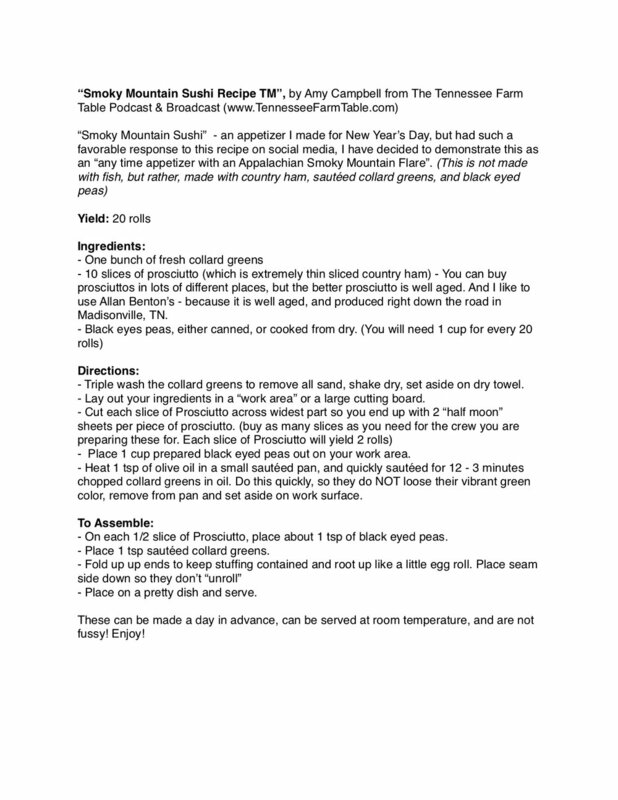 Picture of Amy Campbell’s recipe “Smoky Mountain Sushi TM”. Recipe follows below. 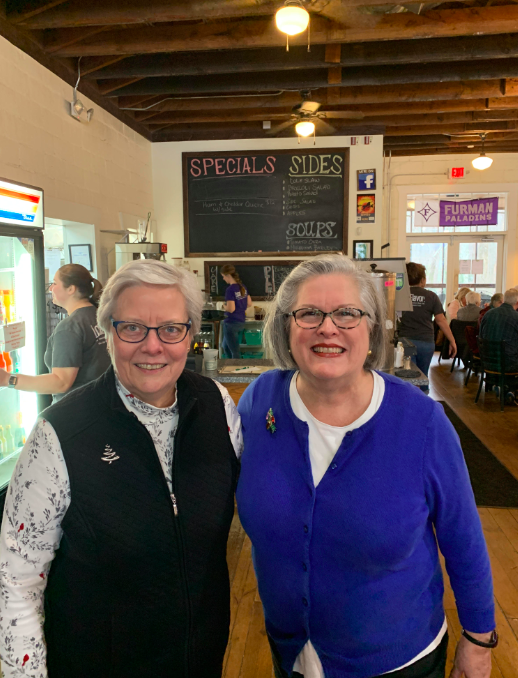 Fred Sauceman’s Fred’s “Pot Luck Radio Segment” features sisters “Joyce and Nancy McCarroll” who until the end of 2018 ran the restaurant at Traveler’s Restaurant in Traveler’s Rest, South Carolina.